Coordinate the rehabilitation of 210 houses in remote areas (assessment, proposal and implementation). 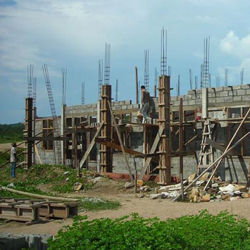 Monitor and advice the construction of 450 new houses (focus on capacity building and disaster prevention). Coordinate watsan department to implement the gravity feed water systems and watsan facilities: latrines, washing places and shower points. 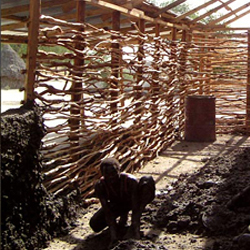 Coordinate the hygiene promotion program and the Community Mobilization Department. 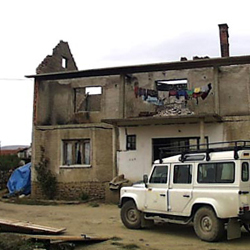 Develop trainings and workshops: rehabilitation of earthquake damaged buildings, hygiene promotion and first aid. Those projects are funded by the Asian Development Bank (ADB) and „Aktion Deutschland Hilft“ (Germany’s Relief Coalition). Coordinator of Constructions and Rehabilitation, Water and Sanitation, Logistic. Planning and implementation of medical health facilities construction: midwifery, policlinics and hospitals. Implementation of disaster prevention system. Design and implementation of gravity feed water systems. Rehabilitation of road and bridges. Coordinate Logistic department during the emergency response after the earthquake in Yogyakarta May 2006. Those projects are funded by USAID and americares. 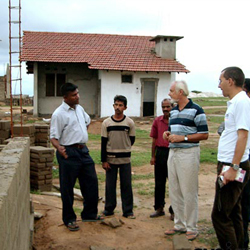 Study about collective experiences in the reconstruction of residential buildings in Indonesia and Sri Lanka with the focus on the possibilities to implement the disaster prevention systems. The study also includes the constructional and institutional point of view as well as administrative needs. This study has been done together with Dipl.-Ing. M.S. Peter Gotsch. Managing and supervise any logistical part of the projects: establishment of a new clinic-project with laboratory and accommodations for patients, construction of health facilities. Managing and coordinate the health project with 5 international staff and 45 local staff during the absence of Project Coordinator.Those projects are funded by private donors and the Humanitarian Aid department (ECHO) of the European Commission. Supervise the construction of six schools, the design and construction of water supply systems and road rehabilitation in five villages. Those projects are funded by the German’s ministry of development and the Humanitarian Aid department (ECHO) of the European Commission. 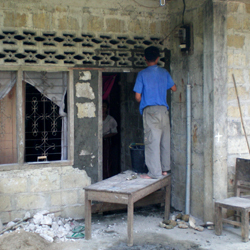 Coordinate the emergency response on the reconstruction of 300 family houses. 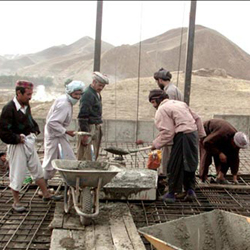 Reconstruction of three schools, managing office’s operation and technical supervision of several other projects. Those projects are funded by the German office of foreign affairs and the Humanitarian Aid department (ECHO) of the European Commission.